Did you all know there is a HUGE Blues & Jazz fest right here in Columbus? We had no idea this took place until the Gahanna Convention and Visitors Bureau reached out to us and invited us to their spectacular event beginning Friday, June 17th. 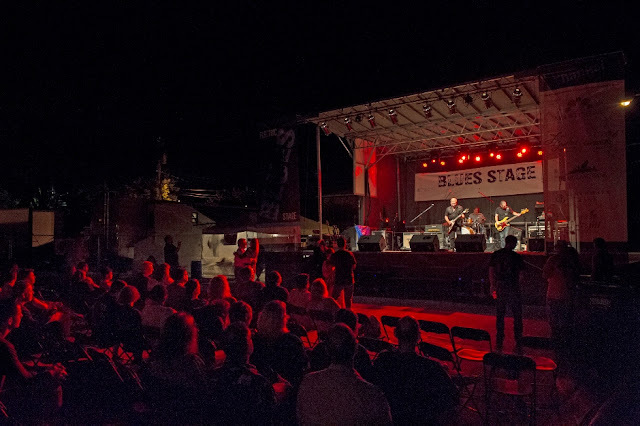 An estimated 35,000-plus people are expected for the three-day Creekside Blues & Jazz Festival featuring more than 90 hours of live music and entertainment! 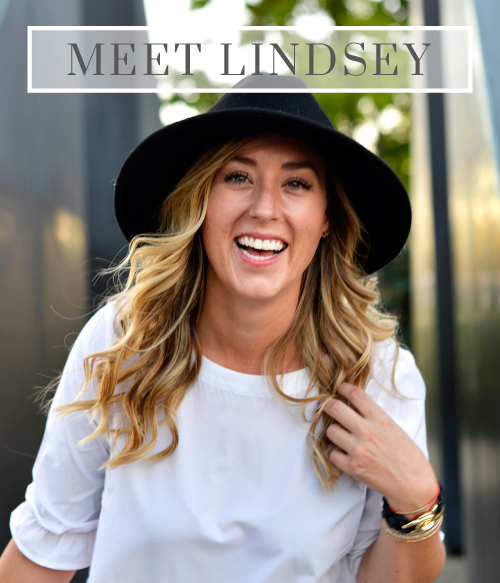 Here is the BEST part…. Amber and I are giving away two free weekend passes to this years Blues & Jazz festival! Make it to the end of this post for all of the entry details! 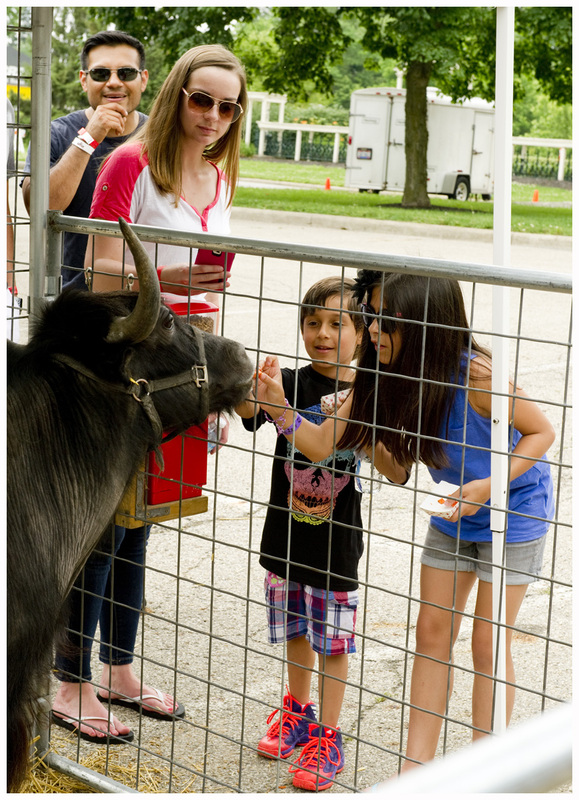 Festival hours are: Friday, June 17: 5 p.m. to 11 p.m.; Saturday, June 18: 11 a.m. to 11 p.m.; Sunday, June 19: Noon to 6 p.m. Admission is $7 on Friday, Saturday (until 5 p.m.) and Sunday. On Saturday, from 5 p.m. to close, admission is $10. Children under 12, and members of the military (and their immediate family) with military ID, are FREE. Additionally, $15 weekend passes are available for purchase online only at creeksidebluesandjazz.com through 12 p.m. on June 17. Free admission on Sunday between 11:30 a.m. and 12:30 p.m. is available for each person who donates at least one nonperishable food item to benefit Gahanna Residents in Need (GRIN). A true summer festival experience for the whole family, Creekside Blues & Jazz Festival also features an artist and craft marketplace; food vendors; local beer, wine and spirit tastings; amusement rides; and the always popular paddle boat rides along Creekside. This year’s list of performers builds on the great history of blues and jazz that’s been played at the festival over the last 17 years and includes dozens of blues and jazz acts on its five stages: Electric Blues Stage; Jazz Stage; Creekside Community Stage, Acoustic Alley Stage, and the Musical Discovery Zone Stage. Bobby Floyd and Byron Stripling will headline the Heartland Bank Jazz Stage Friday night. Marion Meadows with Urban Jazz Coalition will headline the Heartland Bank Jazz Stage Saturday. Sonny Landreth will headline the Benchmark Bank Electric Blues Stage Saturday night. Micah Kesselring will headline the Toyota Direct Acoustic Alley Stage Friday night. 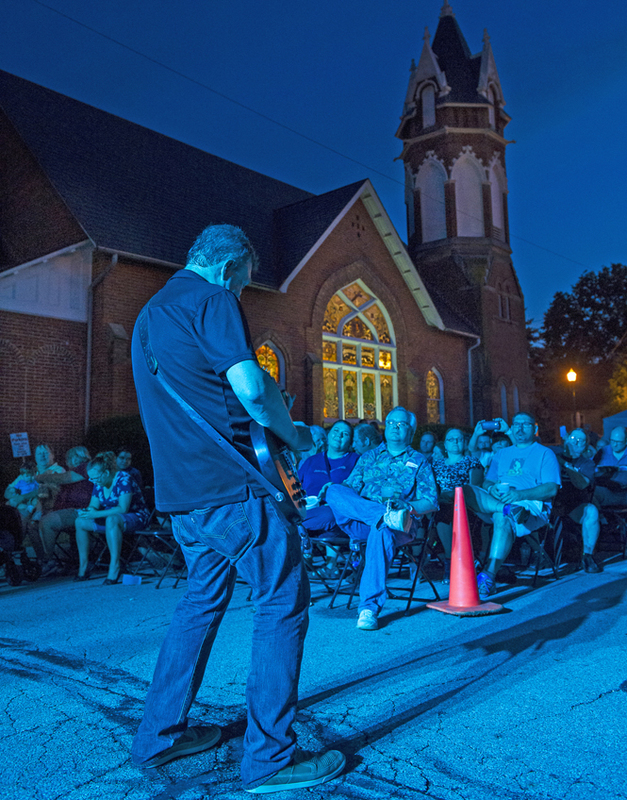 The Floorwalkers will headline the Mount Carmel Creekside Community Stage Saturday night. Conspiracy Band will headline the Mount Carmel Creekside Community Stage Sunday. Jazz4Kids, Mojo Theory, and local musician Russ Frost will offer interactive workshops for kids on the Gahanna Rotary Musical Discovery Zone Stage on Saturday and Sunday. 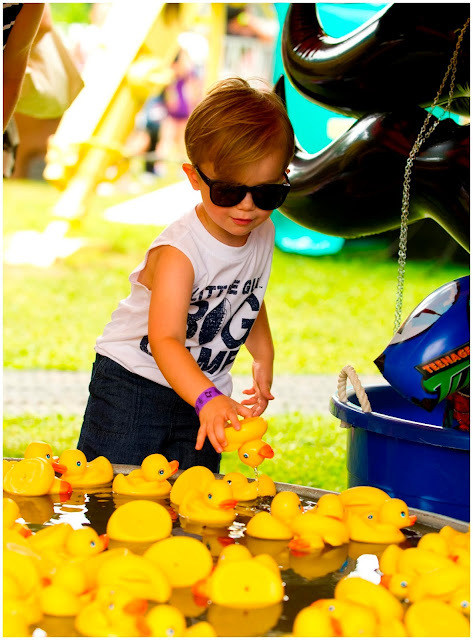 The Giant Eagle Family Fun Zone offers free kids activities throughout the weekend (12:00-5:00 on Saturday and 12:00-4:00 Sunday). 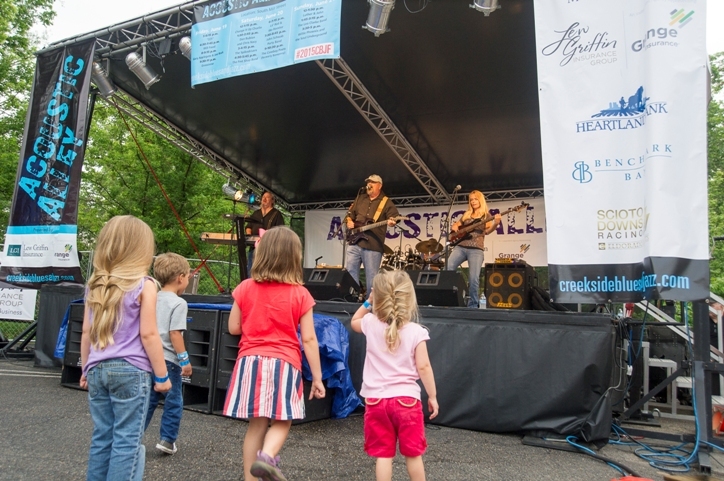 Sunday, June 19 – Creekside Festival will be honoring Father’s Day by featuring several fun family acts including the Sugar Creek Bluegrass band and The Andy Shaw Band. In addition, we offer free Admission on Sunday, June 19, from 11:30 a.m. to 12:30 pm, with the donation of one non-expired, non-perishable food item (per person). Donations to benefit GRIN (Gahanna Residents in Need). The Gahanna Convention and Visitors Bureau is giving away some of the limited edition Jambassador shirts and wristbands randomly via the @creeksideblues and @visitgahanna social media accounts. You can also become a Creekside Blues & Jazz Festival “Jambassador” by following on Facebook, Twitter, Instagram and Pinterest using the #2016CBJF hashtag for contests, special offers and more. 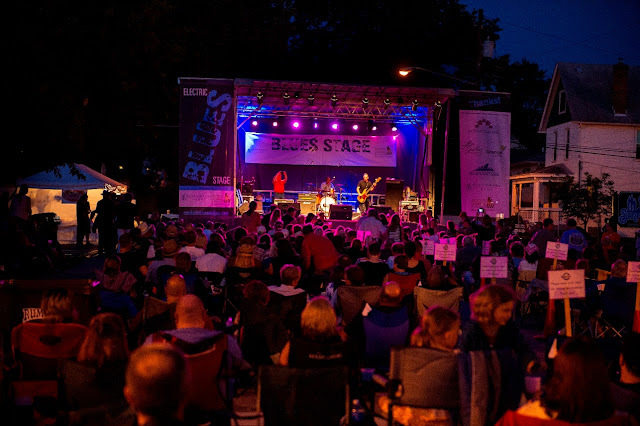 A variety of corporate hospitality packages offering festival admission and amenities including reserved seating, food and beverages, VIP parking, express entry, etc., are available online at creeksidebluesandjazz.com or by contacting (614) 418-9114. Wristbands are available each day for the amusement rides. The Festival is presented by the Gahanna Convention & Visitors Bureau and is made possible with the support of sponsors and help from a corps of dedicated local volunteers. You made it to the end of the post, now time for the good stuff…..! This year’s event will feature 90+ hours of great live blues and jazz music on 5 stages (with 48 bands) and Basic Columbus wants you to join us for a weekend of music and fun at the Creekside Festival. We are going to randomly select one lucky winner who will receive two adult passes good for entry the entire weekend, Friday – Sunday.